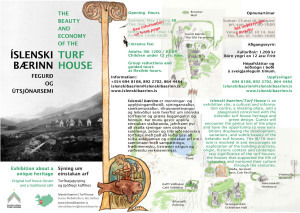 Ever since the first inhabitant settled in Iceland in the ninth century, and well into the twentieth, turf or sod along with unshaped but carefully selected rocks, has been the predominant building material in Icelandic houses. 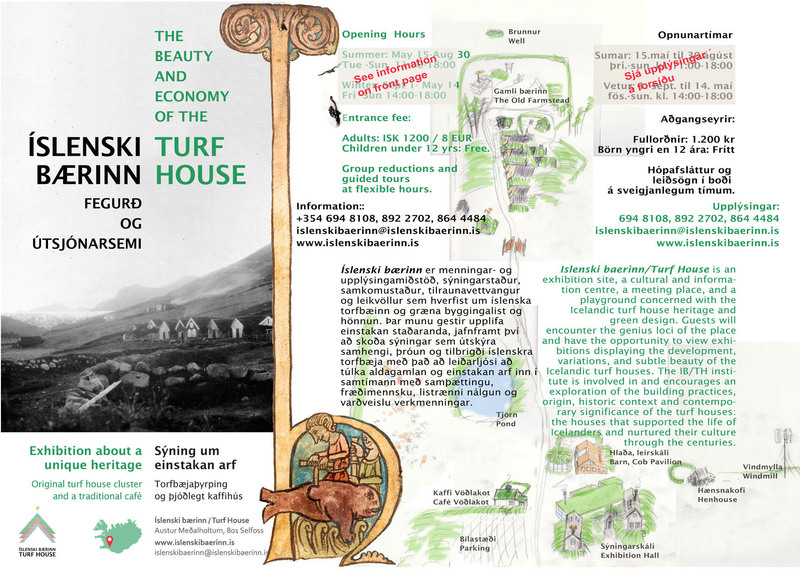 The Icelandic turf house with its roots in the shared building heritage of Europe from before the settlement, evolved in a special way under unique conditions over many hundreds of years. The houses of the settlers were relatively big and simple structures, gradually developing into more complex and mysterious clusters of interrelated houses depending on their intended use. This organic cluster of buildings we refer to as the old Icelandic farmstead. At the very heart of it you will find the main living room, “baðstofa” – a place where the Icelanders worked, ate and slept, were born and eventually died. The old farmhouses are integrated into the landscape, the seasons and the light, and are one of the best examples to be found of harmony between the natural environment and manmade structures. These buildings are refined at the same time they could be experienced as primitive, yet they are warm and subtle in their unassuming beauty. Few well preserved examples of these old farmsteads can still be found around Iceland. In its vast variety and depth of tradition they can be considered one of the most valuable contribution of the Nordic countries to the building heritage of the world. 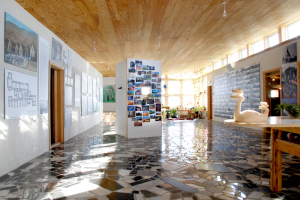 In a newly constructed sustainable museum at Turf House, images and objectsvdepicting the history, the skills and the aesthetics of this unique building tradition are presented. Visiting Turf House is an enlightening experience. There, one can find guided tours and an intimate coffee house, a variety of courses in traditional turf building technique and a look into sustainable living.